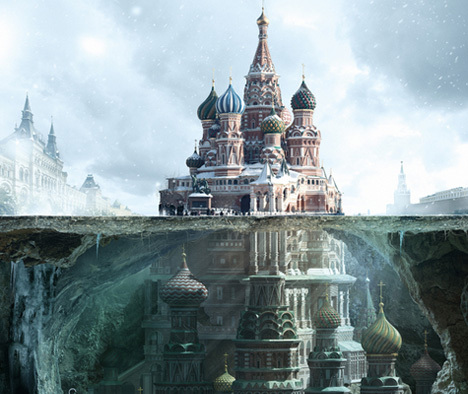 Facade or fantasm, this series of images presents an alluring picture of the layers – perhaps even literal levels – of history that lies beneath aged and famous buildings. 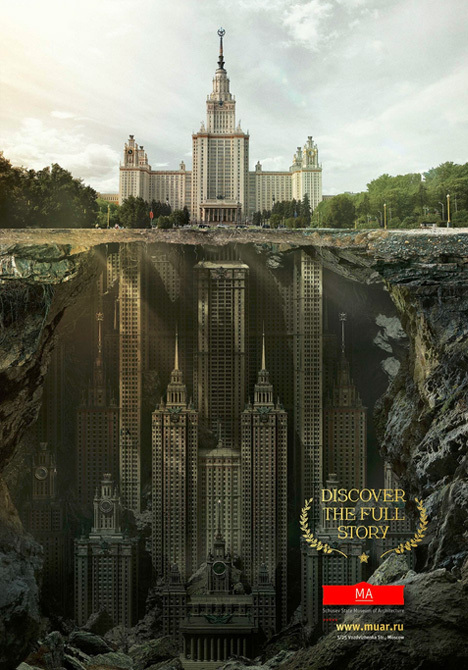 Blending physical fact and historical fantasy, these advertisements (for titled “Discover the Full Story”) extend three archetypal works of Soviet architecture to new subterranean depths. 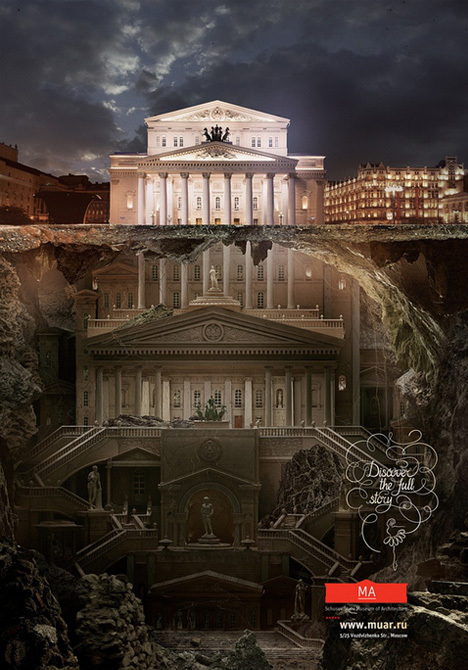 They seem a fitting set to promote the Shchusev State Museum of Architecture in Moscow, Russia. 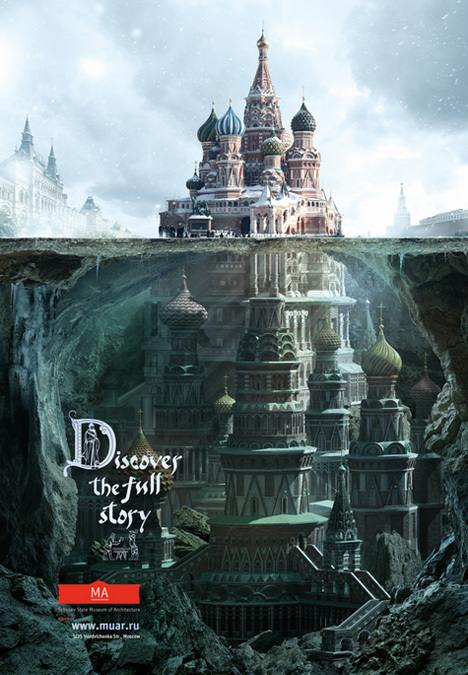 The Kremlin, with its recognizably colorful onion towers, reveals even more (and larger) turrets below – what is on the surface turns out to be just the uppermost peaks. 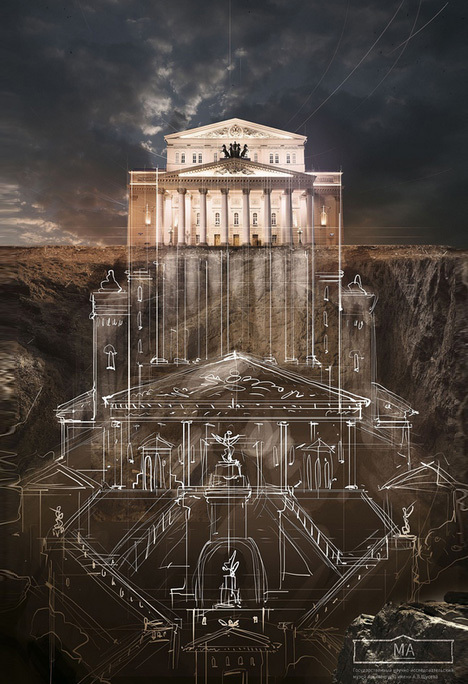 Neo-Classical and Gothic Revival play their parts as well, turning what looks like an old Greek tempt into the top of an edifice, and a stately structure into a skyscraper. 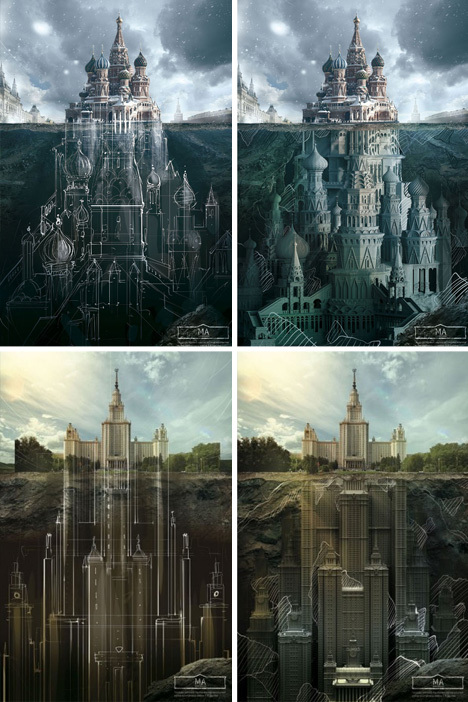 And for those who enjoy process as much as product, it is interesting to see the stages these illustrations went through to get to their final form – sketched figures and pillars, hand-drafted architectural elements, and then finishing touches.